Electronic cigarettes, or e-cigarettes, have gained widespread popularity in recent years as an alternative to traditional cigarettes. While the traditional variety use burning tobacco to create smoke that is inhaled, e-cigarettes are battery-powered devices that vaporize a liquid containing nicotine (and may also contain propylene glycol, vegetable glycerin, and flavorants) that the consumer inhales without the combustion involved in traditional cigarettes. While e-cigarette manufacturers and distributors promote the potential advances of this new technology over traditional cigarettes, the degree to which e-cigarettes are safe is the topic of great debate, and the source of litigation. However, as e-cigarettes are a relatively new development, state and federal regulations and case law are in a state of evolution, as many of the claims made against designers, manufacturers, distributors and sellers of e-cigarettes are in their infancy. Federal regulations governing e-cigarettes have not been finalized. The U.S. Food and Drug Administration (FDA) has promulgated proposed rules that are in the review stage and have yet to be adopted. These proposed regulations could become a barrier to entry into the business, and will set new requirements for those companies currently in the business. But because federal regulations have yet to be finalized, companies in the e-cigarette business cannot point to final regulations to bar state claims, and must be ready to defend individual suits or class actions. Thus, with the changing legal landscape, product liability lawyers who represent any entity in the e-cigarette business, or any company that is contemplating entering the business, must stay up to date on potential claims that may be brought against any such company. Litigation concerning e-cigarettes has generated a wide variety of potential claims. This article briefly outlines some of those claims and specifically provides examples of the types of product liability claims a company in the e-cigarette business should be prepared to defend. Such claims include: state consumer fraud lawsuits raising claims that e-cigarettes are misleading in their marketing as safer alternatives to traditional cigarettes; personal injury claims arising from fires and other harm caused by product malfunction; and claims based on failure to warn about potentially harmful chemicals in the product. E-cigarettes, in many cases, have been marketed as a safer alternative to other traditional tobacco cigarettes. However, those challenging the products have asserted that, due to the nascent use of these products, the health effects of e-cigarettes are largely unknown. Thus, consumers have brought suit alleging that companies have made false marketing claims by purporting that their products have health benefits, when there may be a lack of evidence that they do. For example, in September 2014, a consumer brought a class action in California against an e-cigarette manufacturer alleging that the company made false claims that its devices could help consumers cease smoking, or would lead to "healthy smoking." The complaint sought damages for deceptive advertising, breach of express warranty, unfair competition and violations of California's Consumer Legal Remedies Act. A more recent class action suit was filed against an e-cigarette manufacturer for allegedly promoting its products as a safe alternative to smoking, notwithstanding a government report showing that e-cigarettes contain carcinogens and other chemicals. The action also alleged that the manufacturer made contradictory claims when it stated that the product was not designed to help people to stop smoking (in order to avoid federal regulation), while making contrary statements on its website. The plaintiffs claimed violations of California Consumers Legal Remedies Act, California's Unfair Competition Law, and Florida's Deceptive and Unfair Trade Practices Act. Recently, however, the court refused to certify the class, holding that the plaintiffs' damages methodology was deficient under Supreme Court precedent because it did not permit the court to calculate the product price absent the alleged misrepresentations. In other recent federal actions, plaintiffs have brought claims alleging that marketing statements such as "only vapor" were misleading where the product allegedly contained carcinogenic chemicals, like formaldehyde, but omitted any mention of carcinogens in the advertising and labeling of the product. Plaintiffs with these type of claims have alleged that consumers incorrectly believed that they were only inhaling a safe water vapor, and have sought money damages, including restitution and punitive damages, and injunctive relief requiring proper warnings about harmful chemicals on e-cigarette packaging. E-cigarette companies may also be exposed to claims of failure to warn consumers of things in their products that could potentially cause illness. Notably, in California, the state health department in January 2015 reportedly characterized e-cigarettes as a "community health threat" and cautioned that the nicotine in e-cigarettes is just as addictive as in traditional cigarettes. Additionally, second-hand exposure would include at least 10 chemicals on the state's list of substances known to cause physical harm. A public interest group subsequently sued 19 companies that sell the products and their liquids for failing to provide consumer warnings under the California state regulation. The group brought claims based on the defendants' failure to warn consumers about exposure to the carcinogens formaldehyde and acetaldehyde. Similarly, in another putative federal class action in California, plaintiffs alleged violation of state consumer protection laws when a company advertised and sold e-liquid flavors that allegedly included diacetyl and acetyl propionyl - chemicals that have reportedly been shown to cause scarring in lungs, emphysema and other respiratory issues - but failed to warn of the dangers of these chemicals on its website. E-cigarettes may rely on lithium-ion batteries and chargers to heat up the nicotine liquid in the device and create the vapor. The lithium-ion batteries and chargers are used in a variety of products, but allegedly have a potential to fail and cause fires in e-cigarettes because they may not have the built-in safety features other devices contain. Thus, the products may be subject to a manufacturing defect, and design defect claims arising from the possibility of fires or other similar problems. Accordingly, plaintiffs in some cases allege that e-cigarettes, including lithium-ion batteries and chargers, are unsafe and that the suppliers of these products fail to warn of harmful defects. Notably, in an October 2014 report, the United States Fire Administration (USFA) identified 25 e-cigarette fire incidents reported in the news media between 2009 and August 2014. The report found that most of the incidents occurred while the battery was charging, and that a majority were caused by e-cigarettes being connected to a charger which was not sold with the device. The external charger can provide a current that may be too high, allegedly resulting in a fire. However, the report also indicated that fires caused by e-cigarettes are rare. Yet, these concerns regarding battery fires also led the Federal Aviation Administration (FAA) to warn airlines that they should require passengers to pack e-cigarettes in carry-on bags rather than in checked luggage. One such case of an e-cigarette malfunctioning and causing a fire resulted in a $2 million verdict. The plaintiff alleged that the e-cigarette battery exploded while she was charging it in her car, sending metal shrapnel throughout the car and setting fire to her seat and dress. The plaintiff allegedly suffered second-degree burns on her legs, buttocks and hands, and sued the distributor, wholesaler and retailer. The distributor claimed that the charger must have provided 5 volts or more to the device while charging, and the company warned users not to charge the devices with more than 4.2 volts. The plaintiff alleged that there was no warning until after the injury. The jury's award included payment for future medical costs, past physical pain, mental suffering, loss of enjoyment of life and other noneconomic losses. In another similar case, an e-cigarette allegedly exploded near the plaintiff's face, burning his mouth and dominant hand, which was holding the device. The doctors amputated his finger and he had to undergo surgery on his tongue, which has allegedly impeded his ability to eat. The plaintiff filed suit against the ecigarette's manufacturer and designer and the stores where he purchased the devices. A consumer has also filed suit against an e-cigarette distributor in cases where an e-cigarette exploded in his pocket and burned his leg, requiring him to need skin grafts; and against an e-cigarette distributor and seller of the device claiming that an e-cigarette exploded near his face, blasting a large hole in his cheek and giving him a concussion. As e-cigarettes gather popularity, there will be a greater number of cases filed, accompanied by new theories of liability. Strict manufacturing controls and clear and accurate labeling will go a long way to reduce the exposure to suits arising from the use of these products. Manufacturers and other companies that are part of the chain of distribution for e-cigarettes should keep in mind that the scrutiny will come not only from plaintiffs' lawyers, but also from federal and state agencies that have only begun to scrutinize the use and sale of these new devices. Moreover, because consumers may base their claims on a host of theories, law practitioners should advise companies to obtain sufficient equity and/or insurance to withstand the cost of defending those claims, which could come in the form of individual lawsuits or even private class actions. 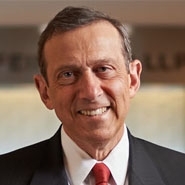 Ronald J. Levine, a member of this newsletter's Board of Editors, is the Co-Chair of the Litigation Department at Herrick, Feinstein LLP, with offices in New York and Newark, NJ, where he concentrates in class action litigation. 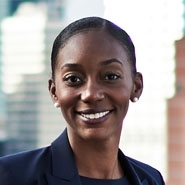 Gabrielle C. Wilson is a litigation associate with the firm. Reach them at [email protected] or [email protected], respectively.